A new Reid Research poll has put the Labour Party on 49.6% support, with the National Party languishing well back on 41.3%. Although this no doubt reflects a polling boost from the Christchurch mosque attacks, it raises an interesting question: could Labour govern alone after 2020? Dan McGlashan, author of Understanding New Zealand, examines. No party has won an absolute majority since the introduction of MMP in 1996. The closest any one party has come was the 59 seats won by John Key’s National in 2011. But yesterday’s Reid Research poll suggests that there’s a very good chance that Labour could win one after the 2020 General Election. We can see a clear pattern over the last two electoral cycles. The Fifth Labour Government came into power in 1999 on a promise to repeal the cruel welfare reforms of Jim Bolger’s Fourth National Government, winning 38% of the vote. This they increased to 41% by the 2002 General Election, as people still remembered what it was like having Ruth Richardson and Jenny Shipley in charge. From there, it fell away until National defeated them in 2008. The Fifth National Government, likewise, came into power in 2008 on a promise to repeal the excessive pandering and taxation of the Clark Government. They won 45% of the vote in 2008, which increased to 47% in 2011, as people still remembered the suffocating nanny state culture of Helengrad. From there, it fell away until Labour defeated them in 2017. 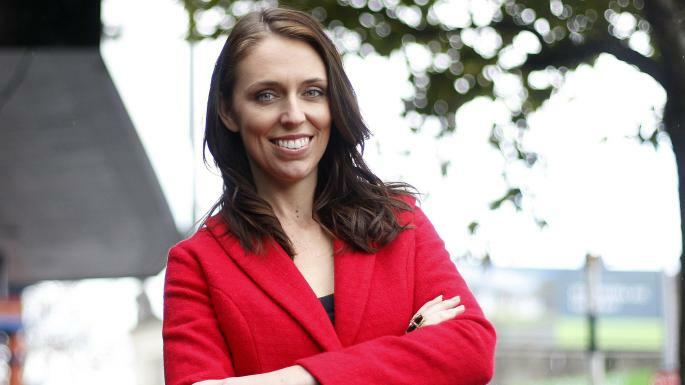 So there’s every reason to think that the Sixth Labour Government will get a boost of some kind in 2020, as people still remember the grinning indifference of their National Party predecessors. The swing of the electoral pendulum suggests that Labour should hit its peak support next year or shortly thereafter, before the public inevitably gets sick of them and National wins again in either 2023 or 2026. All this might mean that they can stay up in the high 40s (in terms of support), but there are other indicators that suggest they could govern alone after the 2020 General Election with as little as 45% of the vote. Labour’s support parties, New Zealand First and the Greens, have fallen well below the 5% threshold, and there are good reasons to think that both will crash out of Parliament in 2020. The Greens are only polling at 3.9%, and New Zealand First are doing even worse, at 2.3%. The New Zealand First Party might as well have pissed in the faces of their supporters, such is the contempt they have shown them since taking power after 2017. Every New Zealand First MP voted against Chloe Swarbrick’s medicinal cannabis bill, despite the passionate support for it among their heavily Maori voting base. Then they signed the country up to the TPPA, despite campaigning against it when in opposition. The Green Party are not doing much better. Far from presenting an educated, intelligent, left-wing alternative, the face of their party is now anti-white racists like Marama Davidson and Golriz Ghahraman. The Greens lost ground in 2017 among people of European descent, and the sharp increase in authoritarian and anti-white rhetoric appears to have driven the centrist Greens back to Labour. The Greens also have the double problem of defending their educated urban elite votes against The Opportunities Party, which looks set to run again, and Vernon Tava’s potential blue-green movement. Both of these latter vehicles will try to appeal to the same educated, urban 20-39 year old demographic as the Greens, meaning that competition will be extreme. If both the New Zealand First and Green parties fail to get over 5% of the vote, then the composition of the next Parliament might be simply Labour, National and David Seymour. If this is the case, then 49% of the total electorate vote would likely entitle Labour to 65 seats or so, out of a 120-member Parliament. Of course, the curious thing here is that if the Greens and New Zealand First do fall under the 5% threshold, and no other new party manages to get over it, one of either Labour or National is all but guaranteed to end up with an absolute majority. The only way it could not happen would be for David Seymour’s ACT, currently languishing at below one percent in the polls, to act as the tiebreaker. This will be good news to some, and terrible news to others. As we have been reminded in recent years, we Kiwis have no absolute human rights, and Parliament is sovereign. Therefore, a party with an absolute Parliamentary majority can do absolutely whatever it wants to the New Zealand people, with no oversight. The only recourse the New Zealand people will have is the chance to vote them out again in 2023. Considering that the Labour Government has already been very weak on protecting our rights to own firearms and our rights to free speech, there is good reason to be afraid of an absolute Labour majority. Andrew Little has already used the Christchurch mosque shootings to “fast-track” every piece of legislation he can think of, so who knows how far a Labour Party with an absolute majority in Parliament could go to reshape the world in their image? Understanding New Zealand, by Dan McGlashan and published by VJM Publishing, is the comprehensive guide to the demographics and voting patterns of the New Zealand people. It is available on TradeMe (for Kiwis) and on Amazon (for international readers).